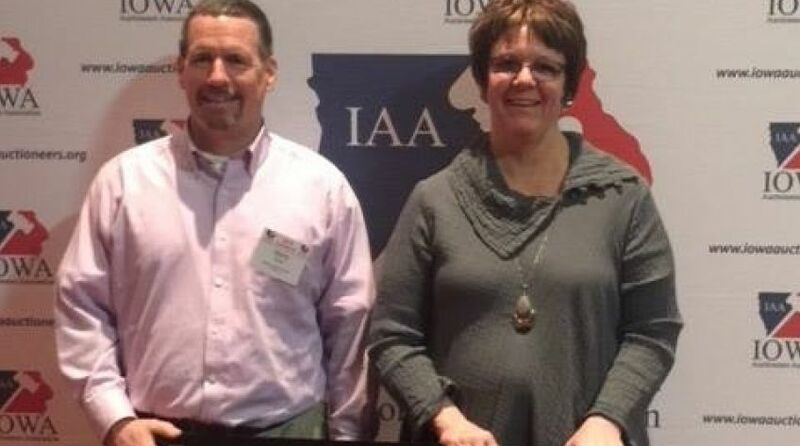 During the preliminary auctioneers contest at the Iowa Auctioneers Association's annual convention, twenty of the best auctioneers in the state and midwest are chosen to battle it out at the Iowa State Fair. This year we decided to bring one more. 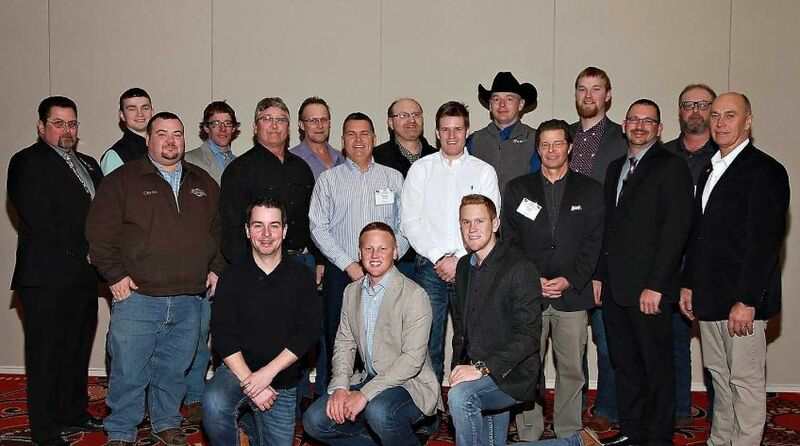 Twenty-one professional auctioneers will be vying for the top spot of "Iowa State Auctioneers Champion" on the Anne & Bill Rilley Stage. 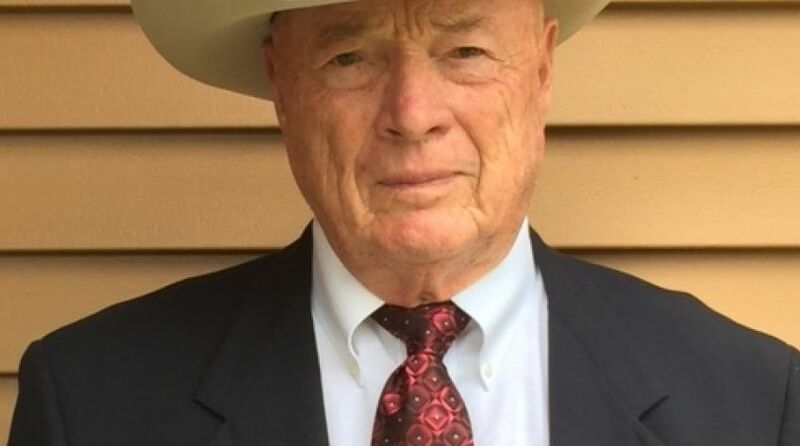 Given the level of precision and professionalism, it takes to earn a spot in the state fair finals gives spectators a sense of the talent they can expect to see. The finals are held under normal auction conditions and each contestant will sell their assigned items to the crowd - rain or shine. 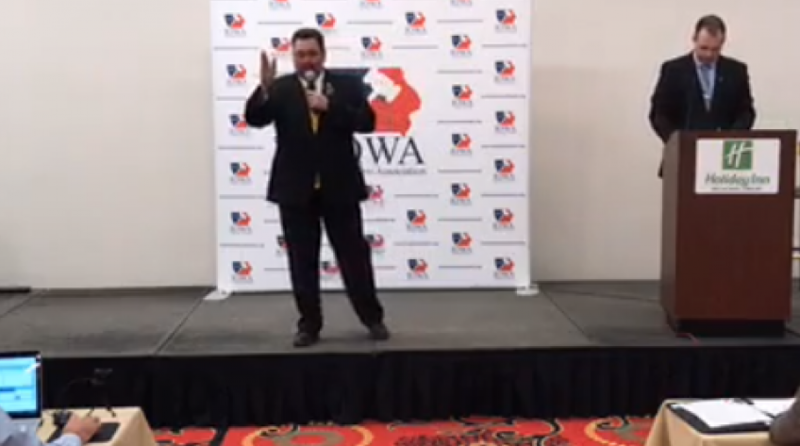 Each of our contestants is a dedicated professional auctioneer, some first generation, some fourth, but each brings the spirit and drive of a true professional. 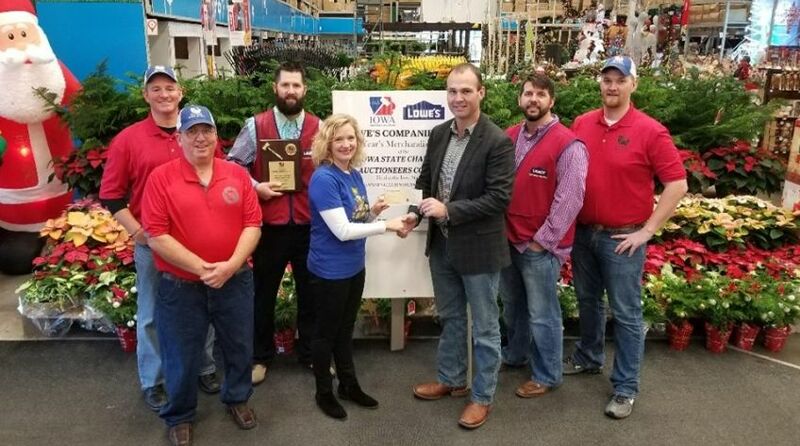 IAA board members Rick Van Donsler, Jared Chambers, TJ DeMoss, and Dan Willson presented a $1000 donation to Allissa McKinney, Blank Children's Hospital at a local Lowes Home Improvement store. 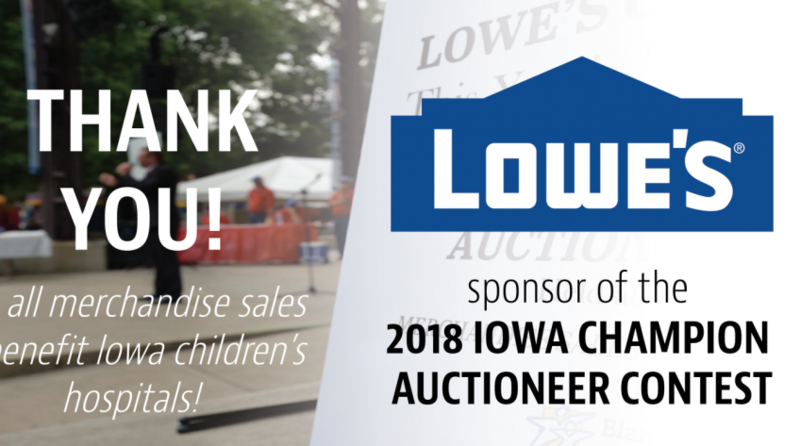 Net proceeds from 2017 Auctioneer Contest also provided $1000 donations to St. Jude's and University of Iowa Children's Hospitals. 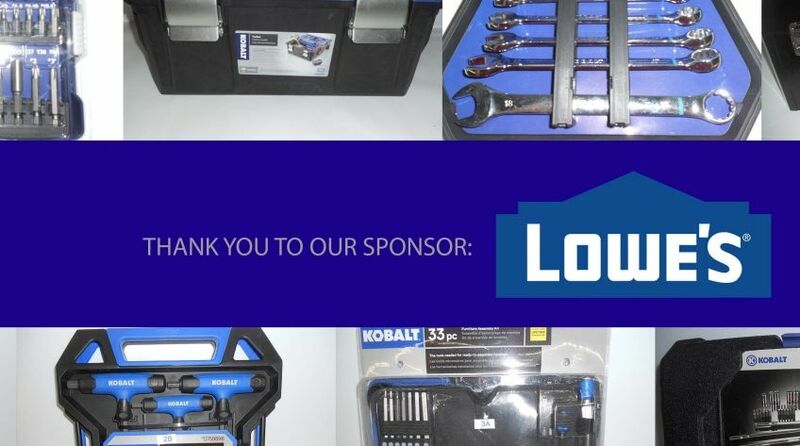 Proceeds were made possible because of Lowe's generous donation of items at the finals. 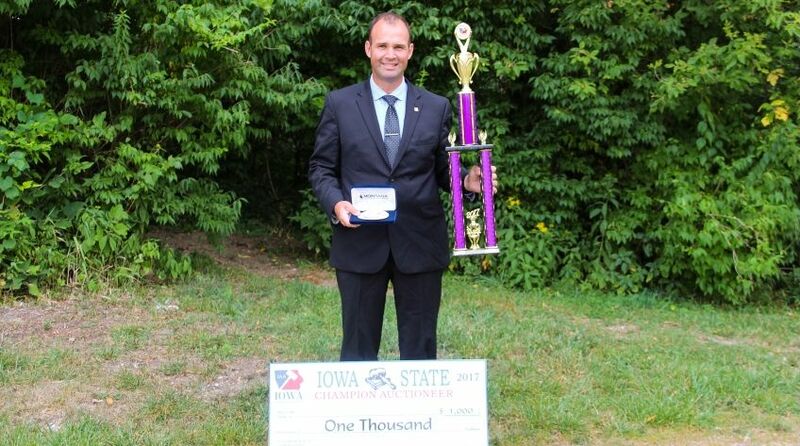 Twice an Iowa State Auctioneer Champion, Army Veteran, Respected Auctioneer Professional, Meet Steve Greenfield.